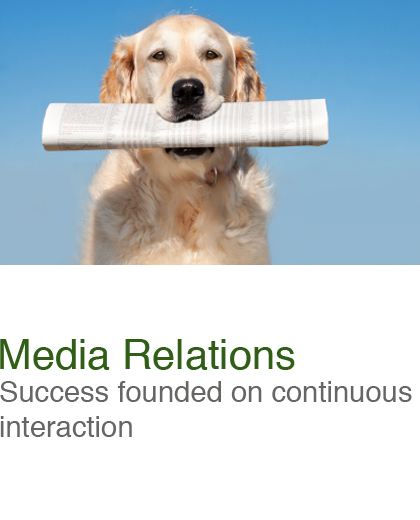 Media plays an important role in maximizing the impact of your business. A media relations plan helps you taking a step back, looking at the “big picture” and proceed with clarity right to your purpose. After identifying the key messages to be communicated to your target audience, we develop your media angle crafting a clear, simple, yet effective message to maximize your chances of visibility. We also create an updated, comprehensive and custom target media lists for print, broadcast and the Internet that will be the key audience to receive your message and media materials in the various forms of press release, media advisory, news conference, etc.